Wallpapering Fog: Take the long view. Except in a crisis. There are many similarities between marketing mix modelling (econometrics) and weather forecasting. They both use data on the past to try to predict the future - though I'd be the first to admit that weather forecasting is harder - and they both struggle badly when you knock them out of their comfort zone. Neither forecasts well when they're in a situation that they haven't seen before. Weather forecasts in the UK are, to put it kindly, struggling this week. My lovely new HTC phone brings me weather alerts and on Saturday it went from forecasting not really any snow, to heavy snow, to very heavy snow in the space of a few hours. 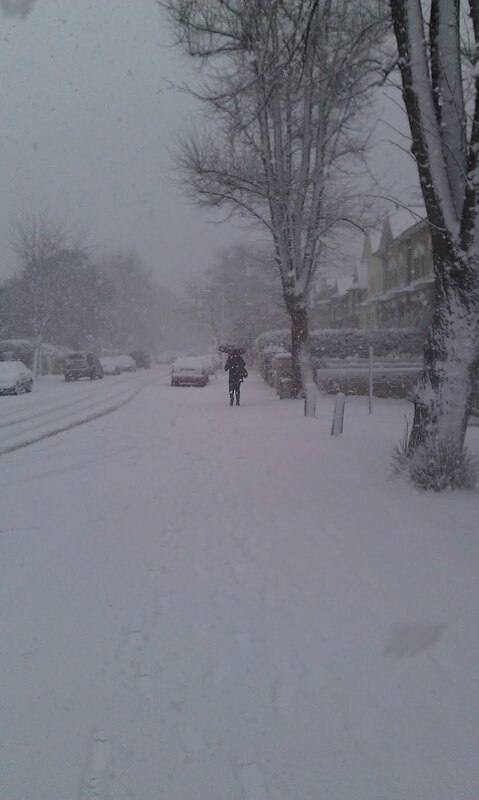 Half an hour after it made up its mind that we were going to get some proper weather, the heavens opened and London went very white and very pretty in the space of about two hours. There's a marketing angle coming, I promise. I'd normally argue against taking a day-by-day view of marketing ROI. It's unproductive and it hides the big picture. Retailers especially have an obsession with yesterday's takings which is brilliant for stock control but terrible for working out whether your ad campaign is effective. Advertising has at least medium term effects and you're really looking to build a brand over the long term, so asking your analysts to spend their day working out why Tuesday was 0.5% down year-on-year is distracting at best. This short term obsession ties in nicely with social media reporting. We're sure we need to track it - how many new Facebook friends, twitter mentions and positive blog posts - but nobody really seems to be able to explain why. If I've got an up to the minute tweet dashboard, what do I do with it? What do I change in my business? The weather's just given us an example. Forecasts are unreliable and we're out of our comfort zone. What the hell is going on? Is the snow headed our way? Most of the time the long view is the best one, but just occasionally, when our models get knocked out of their comfort zone there's a real use for social media dashboards. They can bring us information far faster and more accurately than a model ever could. Provided every day isn't nominated a crisis day, social media tracking is a powerful analysis tool.